At an elevation of 5,400 ft, where the great plains meet the rocky mountains, you’ll find Boulder, CO. Surrounded by 36,000 acres of recreational open space, and home to more than 120 miles of trail, it is an ideal location for any active outdoor lifestyle. A year round schedule of events including our wonderful farmers markets, festivals, world class races and live music for spring & summer, as well as an enchanting, world class ski destination during the fall & winter, foster a great sense of community. A thriving downtown business environment encourages entrepreneurial opportunity while adding vitality and sustainability. -Voted No1 City to Live in. Read more at Boulder Colorado USA. -Life is Great In America’s Thinnest City. Read more on the Business Insider Blog. 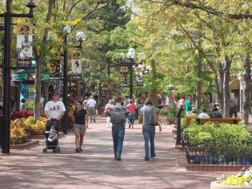 -Entrepreneurial Boulder –A start-up destination. Read more on Bloomberg Businessweek.